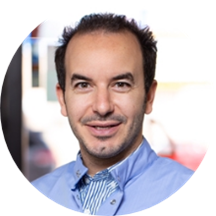 Dr. Lionel Abitbol has a long history of over 10 years as a practicing dental physician in Brooklyn and New York beginning in 2008 when he received his Doctor of Dental Surgery (DDS) from the New York University College of Dentistry. Shortly after completing dental school, Dr. Abitbol began his residency training at the Long Island College Hospital while focusing on orthodontics, oral surgery, and implantology. In addition to regular licensing, Dr. Abitbol continues to take additional courses while also acting as a standing member with the American Dental Association, Alpha Omega, and the International Congress of Implantologists. Dr. Abitbol shares his time working at Smile By Design and Ezra Medical Center in Brooklyn where has practiced for over a decade. Implant and cosmetic dentistry are some of his specialties, but your visit with Dr. Abitbol might also include a simple filling all the way to a full mouth restoration. Naturally some of the care you need requires more than a gentle touch, but Dr. Abitbol seeks to make sure your visit isn’t painful (whether that be physically or financially). Dr. Abitbol is a dentist who understands the needs of his community, as he only lives five minutes away from the dental clinic in Brooklyn. Local, professional, and experienced, Dr. Abitbol will provide you and your family excellent dental care in New York. Dr. Abitbol and his office staff are friendly and thorough. I had some in with a toothache. He was able to respond to answer my questions and very concerned about my discomfort. Additionally, I was take on time, which is a major plus. The place is amazing. Very welcoming staff. Dr. Abitbol very knolagable, knows what his doing. Its pleasure coming to this place. I will recome this place to all my friends. Had such an amazing experience from the front desk to the assistants to the hygienist and the doctor. Everyone was pleasant and caring. Very professional and clean office. There was no wait time for my appointment. I would highly recommend. I had my first visit to see this Dr. I was amazed by his profesanilsm. He knew right the way about my treatment-performance and you can see that he cares. It's very important for me that my Dr. cares about my health. Great office. Amazing front desk staff. Always nice & accomidating. Excellent! This place is phenominal, which is a rarity when speaking about anything dental related! The facility is immaculate, with high tech gear and superb personnel! The office was nice, all the receptionists were very nice and friendly. I was seen within minutes of my arrival, everyone was very professional. Dr. Lionel Abitbol, DDS has no appointments on Zocdoc right now.